Print entitled 'A Scene in the Forty Thievs. 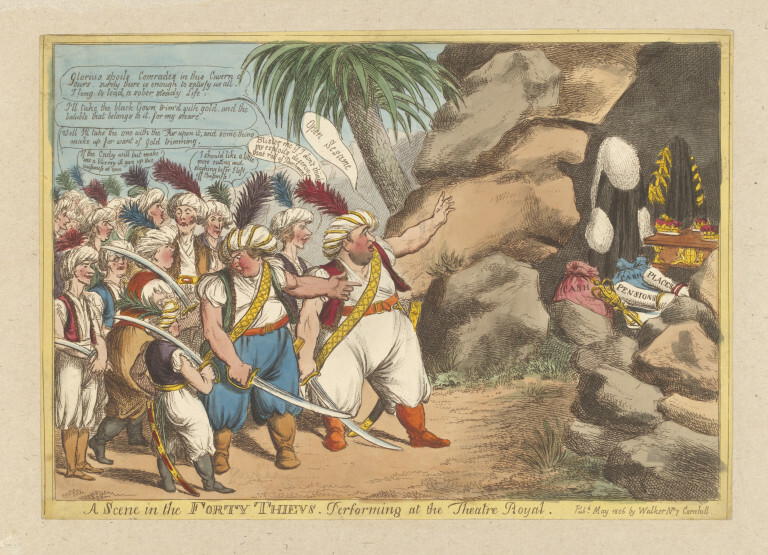 Performing at the Theatre Royal' in which Charles James Fox as Abdallah leads a band of thieves including Richard Brinsley Sheridan. Published in London by Walker. Etched and hand coloured print entitled 'A Scene in the Forty Thievs. Performing at the Theatre Royal'. Print entitled 'A Scene in the Forty Thievs. Performing at the Theatre Royal'. 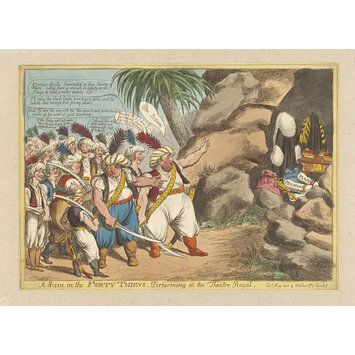 Published in London by Walker in May 1806, Harry Beard Collection.